When you are looking for a Sydney taxi, you want to make sure that you are booking with a company with a distinguished reputation. This is exactly what you will get when you choose to book a cab online or in person from RSL Cabs. For over 60 years, we have been a well known presence throughout the Sydney area and have been counted on by both Sydneysiders and visitors to the city for their transportation needs. We take great pride in our fleet and services and strive to not only meet, but to exceed the expectations of every passenger we serve. When it comes to Sydney taxis, we know that you have a choice. This is why we work so hard to ensure that we are meeting the needs of our customers. From the ability to pay with a number of payment methods to being able to book Sydney cabs via our smart phone apps, you will always be able to stay in touch with RSL Cabs. Some of the things that set our company apart from others in the area that offer cab service include our rich history, our close relationship with the city, our participation in the annual Anzac day march, and the ease of booking. We also have a number of amenities available to our customers like optional baby capsules, GPS from point to point, booking and customer service 24/7, and your choice of clean, comfortable taxis. 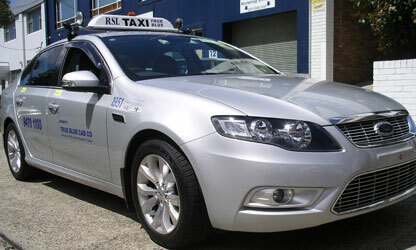 When you need a cab company in Sydney that you can rely on, contact RSL Cabs online or by phone, (02) 9581 1111, any time, day or night.